Iceland is not a country that I have been to before but some knowledge was there regarding the banking crisis, the ash cloud and more positive reports of good nightlife and interesting places to visit. Reyjkavik is a place that cruise ships now venture to. The first challenge was spelling Reykjavik. I failed when trying to input the city into my I Phone weather app. Thankfully the more intelligent and literary members of my family also failed similarly. In summary this is an interesting island that maybe would be good for 3-4 days maximum. There are plenty of things to see . The first impression as the plane comes into land is that firstly the plane flies low for quite a while whilst out at sea and the first image of Iceland is uncannily like the introduction scene to Father Ted where one views Craggy Island. In fact did they use Iceland? The people are friendly and rather Scandinavian like and most speak excellent English. I had only 4 hours to see the isalnd and visited 3 places that seemed fairly special. 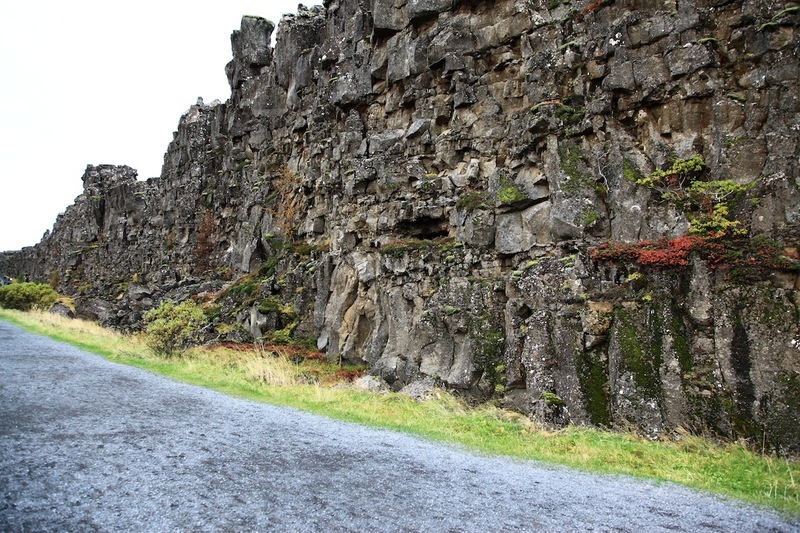 Firstly the tectonic plates that divide west from east and literally these stones represent a dividing line in the Earth’s crust. Secondly some Geysers and lastly a massive waterfall that makes Niagara Falls look quite small in many ways. 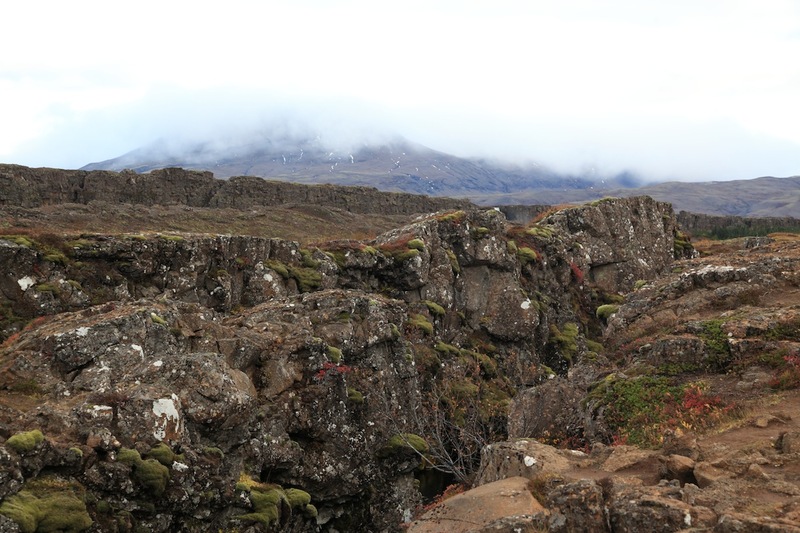 The place to see the tectonic plates is called Pingvalla or Pingvellir. Neither is spelled correctly as the Icelandic alphabet has 32 letters which thus include letters that do not feature in our alphabet but also do not include the letters, C, W, Q and Z. The Icelandic parliament was founded here in 930 AD before even my time. And even functioned as a court of Law till 1798. Curiously Iceland has only been independent of Danish and Norwegian monarchy since 1918. In 2013, it was ranked as the 13th most-developed country in the world by the United Nations’ Human Development Index.Gender equality is highly valued in Iceland. In the Global Gender Gap Report 2012, Iceland holds the top spot for the least gap, closely followed by Finland, Norway and Sweden. Furthermore among NATO members, Iceland has the smallest population and is the only one with no standing army. 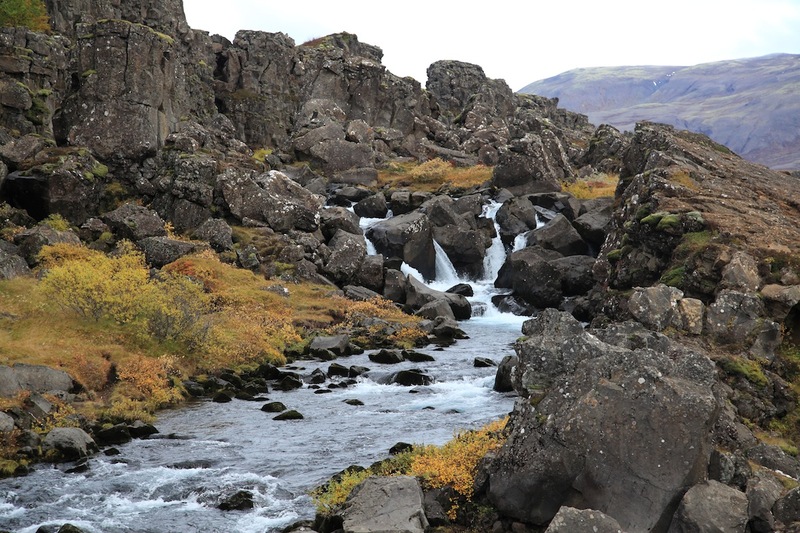 The population of Iceland is less than 350,000. Here are a few images of Pingvalla.